This exercise introduces some common vocabulary and grammar needed for describing graph trends. 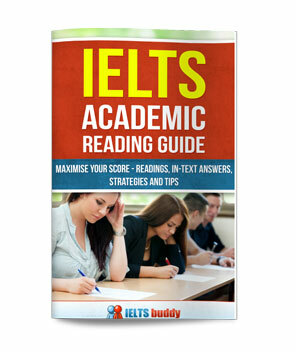 The language that can be used for describing graphs in IELTS is extensive. 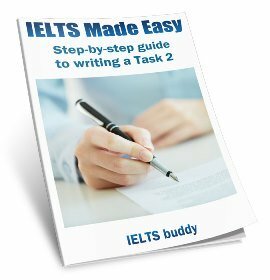 This lesson introduces some of the most common language used. 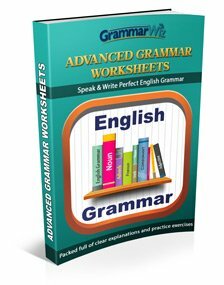 It also shows you how it can be used grammatically in sentences. verb: to increase, is increasing, has increased, increased Total expenditure increased from $33,611m to $39,165m from 1995 to 1996.
an increase in spending of $5,554m From 1995 to 1996 there was an increase in expenditure of $5,554m. verb: to decrease, is decreasing, has decreased, decreased Expenditure on primary education decreased from 22.2% to 21.5% from 1995 to 1996.
a decrease in spending of 0.7% From 1995 to 1996 there was a decrease in expenditure of 0.7%. Total expenditure rose from $33,611m to $39,165m from 1995 to 1996.
a rise in spending of $5,554m From 1995 to 1996 there was a rise in expenditure of $5,554m. Expenditure on primary education fell from 22.2% to 21.5% from 1995 to 1996.
a fall in spending of 0.7% From 1995 to 1996 there was a fall in expenditure of 0.7%. Expenditure on primary education dropped from 22.2% to 21.5% from 1995 to 1996.
a drop in spending of 0.7% From 1995 to 1996 there was a drop in expenditure of 0.7%. After an introductory clause that includes some analysis; e.g. 'Spending rose in all three years', an '_ing' form can be used to describe numbers and dates. Spending rose in all three years, increasing from 17.6% to 18% from 1995 to 1996, and then rising again to 18.2% in 1997-8. Then, to help you with describing graph trends, decide which word should go in the gap in the example answer. Public expenditure on education in Hong Kong (1) _____________ continuously from 1995 to 1998. In academic year 1995-6 it (2)_________________ HK$33,611 million, (3)______________ to $39,165 million in 1996-7 and $45,315 million in 1997-8. As a percentage of the government’s budget spending on education also (4)______ each year, from 17.6% to 18% and then to 18.2%. However, the percentage of expenditure spent on primary, secondary and tertiary education did not show the same consistent (5)_______. In 1995-6 expenditure on primary education was 22.2% of the education budget, 33.7% (6)_________ on secondary, and 35.9% on tertiary. In 1996, (7) ____________ of 0.8% in spending on tertiary education was financed by a (8)_________ in spending of 0.7% in primary and 0.5% in secondary schooling. In 1997-8 tertiary spending as a percent of the education budget (9)_________ to its 1995-6 level. The percentage spent on primary education (10)__________ to 21.6% and that on secondary to 33.5%, both figures being less than 1995-6 levels. This lesson will hopefully have helped you with the basics of describing graph trends and some of the different structures you can use. Remember though this example has only used a few of the words possible for describing change. 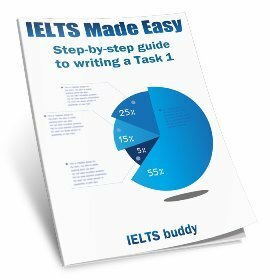 It's important to vary your language so look around the IELTS buddy site, for example on the model graphs, to see what other language you can use.